It’s wedding season! Summer weekends are filled with vows, white limousines, flowers and most importantly, love! It’s no secret I have found my better half; our Moroccan henna ceremony to mark our engagement was one of the most exciting and special things I have ever done (thanks again, Mom and Dad! You guys are truly the best ever XO) and living in love day to day is truly better than anything I could ever imagine. But before skipping to wedding bliss, many couples have an incredibly difficult and often stressful time planning their wedding, at least partially due to dollar signs. So I’ve put together a list of a few simples tips, as posted below, to ensure smooth sailing from choosing a venue all the way to saying, “I do”. I hear wedding bells! Your wedding day is inarguably one the most important and memorable days of your life, and if TLC’s constant line up of wedding-themed TV shows is any indication, women love weddings. Planning them, however, although exciting and joyful, can be stressful for not only the bride-to-be, but her groom, too. This is especially true when it comes to the budget: most couples must spend a significant chunk of their income or savings for their dream day and agreeing on every detail and their costs can be a difficult task. But any bride worth her bouquet can get savvy and cut a few corners here and there to save some cash without sacrificing particulars necessary for her big day. Follow these genius money saving tips when planning your dream wedding, and you may even have enough moola left over for a honeymoon! A massive guestlist equates to massive costs: skip out on inviting co-workers and distant friends and family to alleviate numbers. Also consider a smaller, more intimate wedding party; bouquets, boutonnieres, gifts and transportation can add up fast. 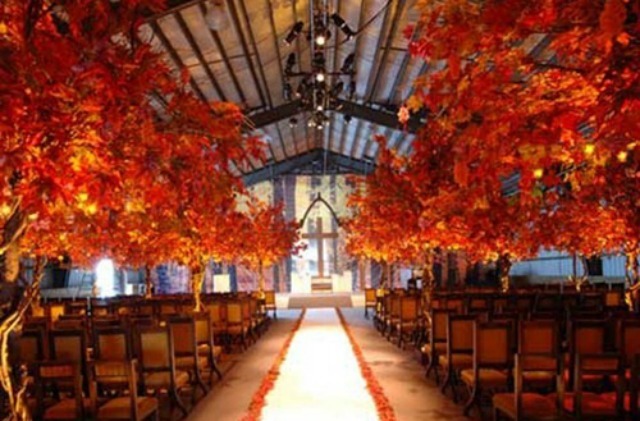 Consider a spring or fall wedding, or if you’re a true Canadian gal, go for a snowy ceremony. Booking anything off-season (September – April) will dramatically lower costs. Choose a restaurant with charming décor that already suits your taste and theme and watch both your venue and decoration costs plummet. Many restaurants have private or semi-private spaces to accommodate a wide variety of guest counts and budget, a built-in bar and sound system and most are flexible and open to discussing special menu requests. Although the initial cost of incurring a wedding planner may seem like a counter-intuitive way to save money, their expertise and established relationships with a variety of businesses may end up saving you a bundle. Instead of sending out save the dates and wedding invitations, share your details in a far more modern and savvy way. Sites like weddingjojo.com have beautiful themes or customizable templates that allow you to announce your wedding day details, absolutely free. Oftentimes, craft stores will have what you’re looking for on the cheap. 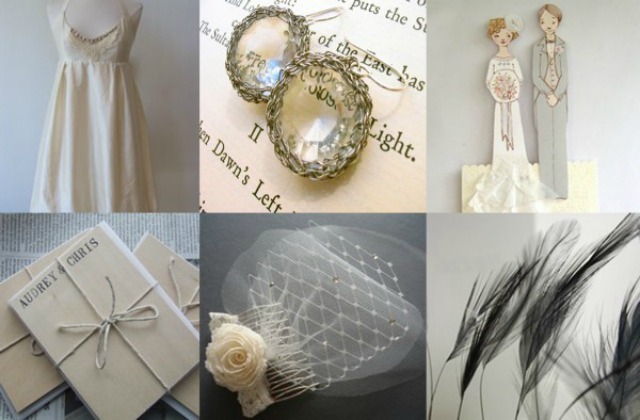 Even more conveniently, mecca craft site etsy.com has an entire category dedicated to weddings. Who knew you could find your wedding bands, guestbook, bridesmaid dresses, cake topper and wedding party favours all in one place for bargain prices? If you’re not particularly attached to the notion that flowers are the only way to go when choosing decorations for your dream day, great! — there are plenty of other ways to make your space beautiful and lend the right feel for your theme. If you are a traditionalist or really love flowers, though, consider bigger blooms. Taking up more space visually, you’ll need less stems overall which will help keep cost down. No one likes spam mail, unless it contains an exclusive invite to a trunk show or sample sale for bridal gowns on the cheap. Often only a few days, it really pays to sign up for alerts from your favourite dress shop or designer to ensure you don’t miss out on a deal. Alternatively, consider buying your gown pre-owned. Tons of brides are selling their dresses on sites likepreownedweddingdresses.com and oncewed.com, and after you say “I do”, sell it back for even bigger savings! a gown listed on PreOwned WeddingDresses.com. Gorgeous! During cocktail hour, people are generally mingling, snacking, and of course, cocktailing. Translation: no one will notice if there isn’t a live band or DJ providing the tunes. Create an easy-listening, lounge-y playlist on your iPod long enough to last the hour (and even through dinner if you’re creative enough!) and save big by having your entertainment come in afterwards. Skipping out on a bar entirely is one way to save huge, but this is a drastic measure. 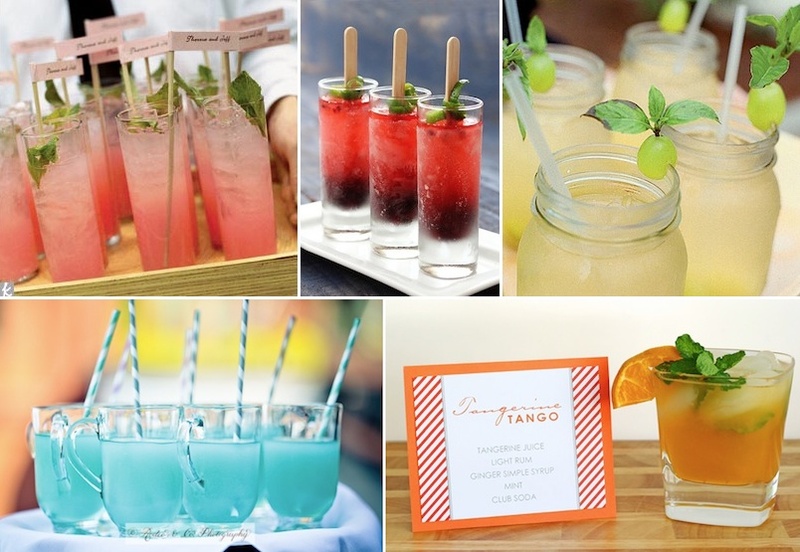 Instead, offer wine, beer, and make one signature cocktail (name it something cute, charming and related to you and your groom) available to your guests. 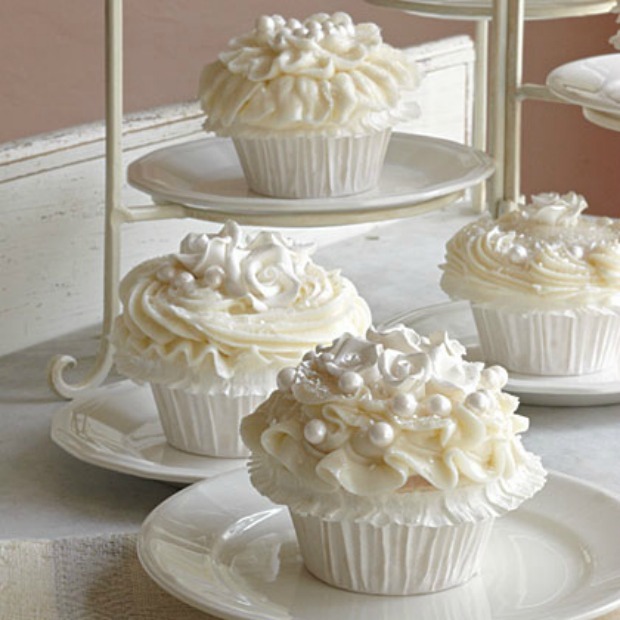 Many modern weddings are skipping out on a huge and costly wedding cake in lieu of something more casual, cheap and cheerful, like tiers of fluffy cupcakes, glossy doughnuts, or the couples’ favourite treat, like lemon squares. If a cake is still a must, save big by easily creating the illusion of a big, fancy confection: buy five sheet cakes in five slightly varying sizes and stack from biggest to smallest in a tier. With some cake dowels, an allover layer of frosting and a few cake decorations, no one will be the wiser.